Have a hankering for something with a little south of the border flavor? Then you definitely have to try our recipe for chicken enchilada soup. This recipe, which makes for 12 servings, features tomatoes, corn, and black beans, as well as a pound of fresh, flavorful chicken. If you happen to like a little spice, then you’ll be happy to hear that our recipe calls for four ounces of diced green chilies. This dish is a great choice for either lunch or dinner, and it’s also perfect to serve at outdoor picnics or get-togethers. If you happen to know a few friends or family members who might like this dish, please share it with them via Facebook, Pinterest, or Twitter. Like most soups, our chicken enchilada soup recipe is pretty easy to make. In order to get started, you’ll need the following ingredients: a pound of boneless, skinless chicken, diced tomatoes, corn, black beans, enchilada sauce, diced green chilies, chicken broth, an onion, chopped garlic, Cabot Greek-Style Yogurt, Cabot Cheddar Cheese, and baked tortilla chips for a topping. Additionally, this recipe calls for taco seasoning. While you can purchase ready-made taco seasoning at your local super market, you can also make your own seasoning at home rather quickly. For our seasoning recipe, you’ll need one teaspoon of ground cumin, one teaspoon of chili powder, one teaspoon of salt, and ¾ teaspoon of ground black pepper. Enchiladas are so satisfying. If you’re interested in trying another, more classic enchilada recipe, we suggest checking out our Portobello chicken enchiladas. 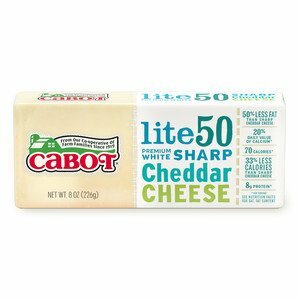 Here at Cabot, we work hard everyday to produce our award-winning cheeses and dairy products. 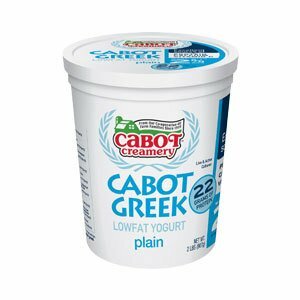 From sour creams to delicious cheddar cheeses, we do it all. We hope you and your family love our recipe for chicken enchilada soup. We’d love to hear your feedback about the dish. After trying it, please rate and review the recipe whenever you can. REMOVE chicken from pot and shred, before serving. Return to pot and stir in yogurt (do not let soup return to simmer). Serve topped with chips and cheese if desired. Recipe courtesy of Dashing Dish. Love this recipe. Takes just a few minutes to put in crockpot. I do wait til last 30 minutes to add corn and beans when I take the chicken out to shred so they remain firm. And I add yoghurt to individual servings so I can reheat later without worrying about scorching. Easy prep, freezes well. Delicious, the whole family enjoyed it.